MWRA and the Department of Conservation and Recreation keep a daily watch on reservoir levels at Quabbin (412 billion gallon capacity) and Wachusett (65 billion). 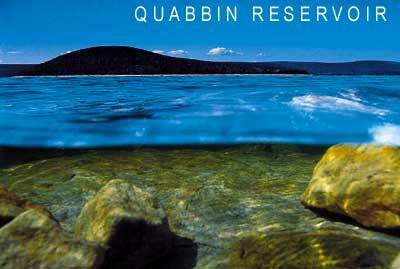 While Wachusett levels are kept relatively fixed, Quabbin levels fluctuate with precipitation and watershed runoff. Ware River stream flows are also watched daily to determine if seasonal transfers to Quabbin during high-flow periods are possible. To gauge current system status, water supply planners have identified six reservoir status conditions that allow for normal monthly fluctuation. The Quabbin/Wachusett system is so large that it can withstand short- and medium-length droughts and dry periods without a significant impact on its operating levels. Information on water use, system yield, watershed precipitation and levels of the Quabbin Reservoir are tracked on a daily and monthly basis. Based on a detailed analysis of major factors affecting water demand, MWRA projects that system demand will remain well below 300 million gallons per day. A review of recent demand and supply conditions (PDF), presented to the MWRA Board of Directors in January 2012, provides more detail on long term trends. MWRA's source reservoirs, the Quabbin and Wachusett, can be counted on to safely provide about 300 million gallons per day of water even during periods of extended drought. This amount is called the "safe yield." For a 20-year period from 1969 to 1988, the customers of MWRA (and its predecessor MDC) routinely drew more than the safe yield. 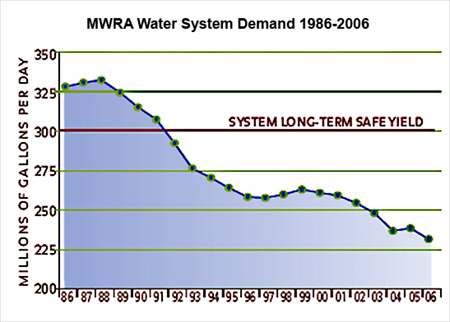 The chart Water System Demand 1980-2014 demonstrates this historical trend. Fortunately, precipitation was great enough throughout these years to avoid a major water supply crisis. To address this problem, MWRA launched an aggressive water conservation program in 1986. 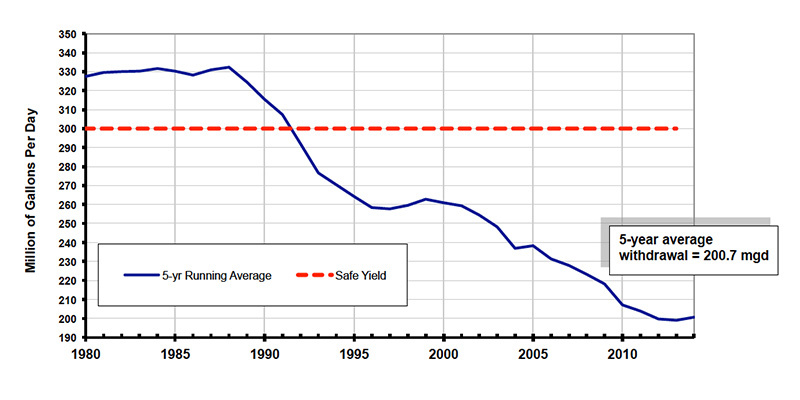 By 1989, withdrawals had been brought below the safe yield, where they have remained ever since. MWRA's two source reservoirs, the Quabbin and Wachusett, can store 477 billion gallons of water for everyday use. Actual levels fluctuate. MWRA stores treated water in covered tanks across its service area. Water can also be drawn from the Ware River if needed. Water can be drawn from the Ware River if needed. When the Ware River flow is above 85 mgd during the period from October 15 to June 15, withdrawals are sent to the Quabbin Reservoir. MWRA maintains a system of back-up reservoirs at points throughout its system for emergency use.